White label available for agencies. 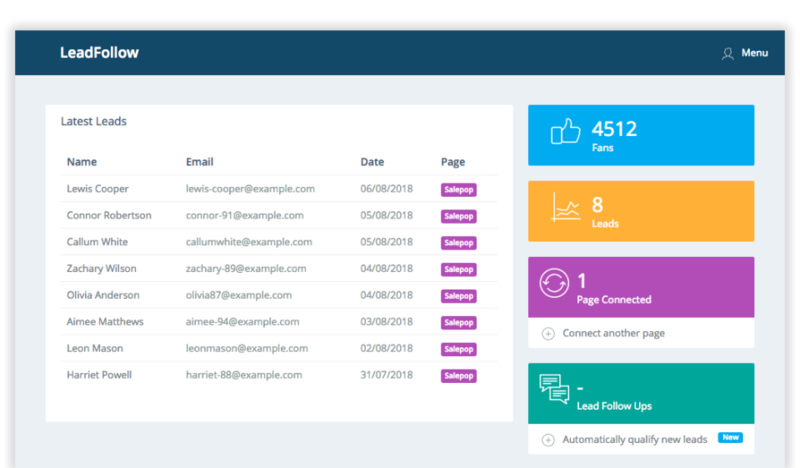 Receive instant email alerts when you receive new leads from Facebook Lead Ads, setup autoresponders, instant SMS alerts, plus sync to your CRM. Including; Infusionsoft, Active Campaign, MailChimp, Slack, Aweber, Customer.io, Campaign Monitor and more!